Join FormLA Landscaping and the Sunland community in growing a lovely, sustainable entrance to Sunland. See the progress of the Sunland Welcome Nature Garden narrated by community hero Roger Klemm. While we’ve put away our shovels until Fall, you can still dig-in with us through the Sunland Welcome Nature Garden crowdfunding campaign. This month, we have yet another hero to introduce to you. 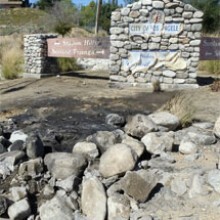 After years of community activism, Roger Klem, a Sunland resident and native plant enthusiast, has inspired the community Sunland to undo a tragedy in its common backyard. 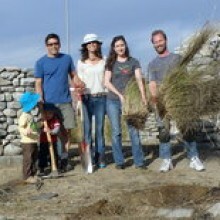 Each Saturday of March, residents and volunteers will dig, rake, trim, wheel and water to create a Sunland Welcome Nature Garden at the entrance to the community from the 210 freeway, now a safe haven for invasive fountain grass. The garden will transform into a showcase of natives born to thrive in Sunland’s particularly high and dry microclimate.